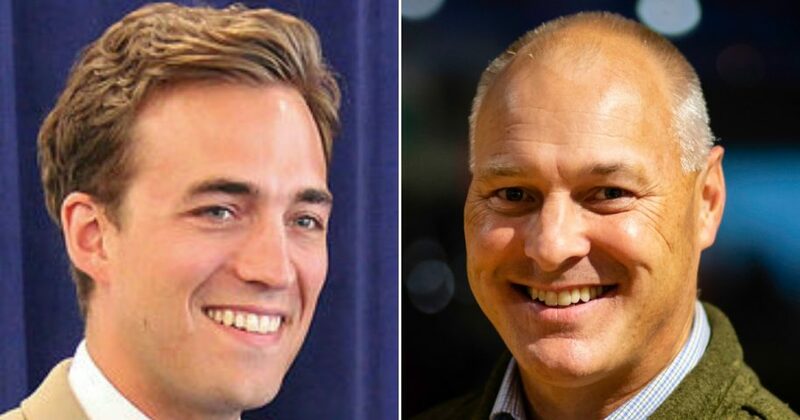 Republican Pete Stauber has taken Minnesota’s 8th Congressional District, defeating Democrat Joe Radinovich. The race had been one of the most closely watched in the nation. Democratic incumbent Rep. Rick Nolan announced earlier this year that he wouldn’t be seeking reelection. Nolan had won his last election in the district — which encompasses most of the northeastern portion of the state, including Duluth — by only two points. With Nolan exiting stage right, the contest came down to Radinovich, a former state senator, and St. Louis County Commissioner Stauber. The race was originally rated as a toss-up. Stauber favored dismantling Obamacare to save taxpayers money on health care. “We all know Obamacare was a disaster and Congress needs to work together to fix it. I favor state control over health care. You should be able to pick your own doctor and health care should be between you and your doctor,” Stauber said. Stauber also emphasized his long career in law enforcement, including two incidents where he was the victim of gun violence. Those, he said, were part of the reason why he was a strong supporter of the Second Amendment. “I was never concerned about a law-abiding citizen with a handgun, at all,” Stauber said. Radinovich, meanwhile, was a supporter of “Medicare for all,” a universal care program which studies have indicated could cost up to $30 trillion. Starting his career in politics as a union organizer, Radinovich based his campaign largely around campaign finance reform, running heavily on a bill which would limit money from large donors and instead prioritize small donors. “Restoring faith in our elections and in the integrity of our elected officials should be a top priority that all members of Congress can agree upon. Without these reforms we will be unable to truly regain the public’s trust or tackle the challenges of our day, like the costs of health care and prescription drugs, the opioid epidemic, or building an economy that is strong for working families,” Radinovich said in a statement. Polls originally showed the race as being close; a New York Times/Siena College survey had Radinovich up by one in September. That same survey would change dramatically in just one month, however. By October, Stauber was up by 15 points, albeit with 13 percent of voters undecided and a 4.5 percent margin of error. Days after that poll was released, the Democratic Congressional Campaign Committee canceled $1.2 million in ad buys in the district, a sign they were losing faith in Radinovich’s chances. The district was seen as one of the biggest chances for Republicans to steal a seat from the Democrats in what would ordinarily be a bad year for the party of the sitting president — something that would make the Democrats retaking the House of Representatives considerably harder.